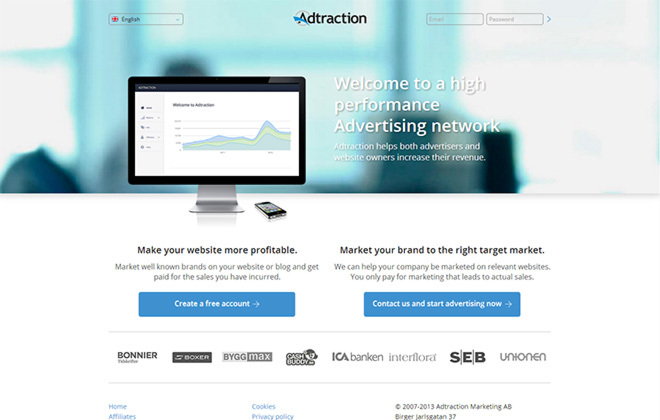 Adtraction is an advertising network that helps both advertisers and website owners increase their revenue. The company is based in Stockholm and is operating in the Nordic markets. Chamigo helped with providing the HTML and css for the site. The site is fully responsive and the navigation bar visible in small resolutions is based on Bootstrap v3.